Ensurity offers professional, independent advice to ensure you and your family get the security you need. Professional insurance advice can be the key to making smart, financially responsible decisions in your life. Whether you’re in the process of buying a home or just wanting to make sure you protect what you have worked so hard to build, consulting a professional insurance advisor is the answer to properly protecting your family and assets for the future. Ensurity offers considered, expert insight into insurance decisions for Auckland based clients looking for tailor made advice. Ensurity is the Auckland Insurance Advisory that leads by example, matching people to policies with the care, diligence and skill you require. Every consultation provides professional advice, delivered with care, diligence and skill. Our Auckland based business puts clients first. By ensuring we listen and understand you and your individual situation before offering any advice. Everyone's personal needs are different and it's imperative you get individualized and tailored advice for you and your family. 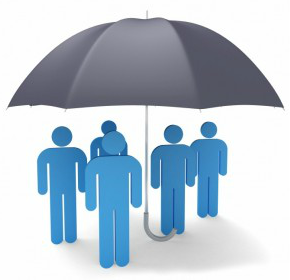 Peace of mind insurance solutions that fit both your risk and budgetary needs. Advisor Karl Gardner has Experience in dealing with business and personal clients from all walks of life. He has helped protect over 1,300 clients and their families throughout Auckland and wider New Zealand. We believe "Don't just insure it. Ensure it!"